It’s the first Tuesday of February..say what?! Where did January go? Did you watch the Super Bowl on Sunday? As a Giants fan, I don’t really like either team, but I am happy that the Eagles won. Anytime the Pats lose is a good day, lol. I also won some money in my Super Bowl pool so I’ll probably put that toward a new pair of sneakers. Speaking of music, I thought that Pink did a fantastic job on the National Anthem but JT’s halftime show was pretty bad – I just couldn’t get into it. Moving along… are you new to Tunes Tuesday? Here’s the nitty gritty. Tunes Tuesday is a once a month link up. We will have a different theme each month and the link-up will open on the first Tuesday of that month. You can find a complete list of the 2018 themes here. This month we’re focusing on Love Jams! Since Valentine’s Day is this month, we thought it would be great to feature song love songs. Some of these songs are great for running, lifting or during a cool down. Check out the songs below and see if any of your favorites made the list! What are some of your favorite love jams? I used to have that version of Love Rollercoaster on my playlist! I might need to pull it back out again! It’s a really fun and funky song – I like it! I like all of these songs. I am not afraid to admit it, I am a huge Eminem fan. Did you hear his new song with Ed Sheeran, RIver? I am so happy the Eagles won! I do like the Eagles, but I would have been rooting for any other team rather than the Pats as well…..haha. I love the new song with Eminem and Ed Sheeran! I would never think that those two artists would do a song together but it totally works. Yes, the Eagles won!!!!! I was slate tuning in (i know, it happens), so I missed Pink’s performance. I thought JT was alright…not great, but not bad. I like seeing him on Jimmy Fallon’s show, but am not really into his music. So happy about the Eagles win! I think I expected more from JT so that’s why I was disappointed. I’m showing my advanced age here but when I hear Love Rollercoaster The Ohio Players come to mind. I took Thing 1 to see Usher when she was 10. The Caveman won tickets to his company’s luxury box. Oh what a crazy night! Thanks for jarring the memories! LOL I can only imagine all the fun you had at that Usher concert! I didn’t watch any of the game, but I did see a snippet of Pink. She rocked it AND she had the flu. Amazing! I can’t believe she sounded so good with the flu – so amazing! Man, I <3 me some Bob Marley! Yeah, my friends and I agreed that we expected more from JT. It seemed like the performance was all over the place! I thought about making a Valentine’s day playlist, years ago, but a lot of the songs I have are slow. It wouldn’t work since I want fast songs when I’m running. Yeah, same here. A lot of those love songs work great for a cool down after a workout. 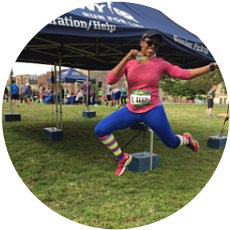 Me too – I still have that song on my running playlist! I love the idea for this post! I’ll have to look at the other 2018 ones 🙂 Great song picks! Yes – please link up with us in the future! A little Beyonce is always a great addition to any playlist.